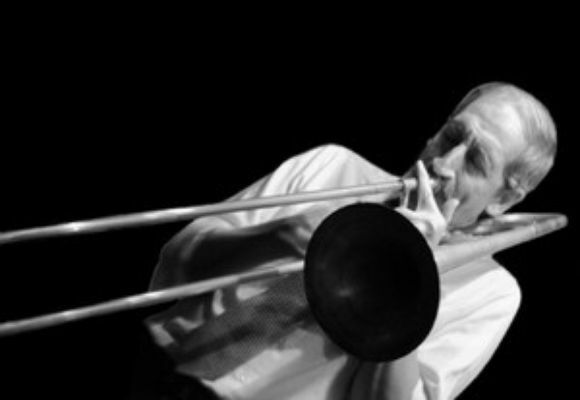 John Mosca (trombone), a native New Yorker and The Juilliard School graduate, has performed with Pierre Boulez and the Metropolitan Opera, as well as Dizzy Gillespie, Sarah Vaughan, Joe Williams and Stan Getz. In 1975 he joined the Thad Jones / Mel Lewis Orchestra which won a GRAMMY® the following year for the Live in Munich album. Mosca currently co-leads The Vanguard Jazz Orchestra, whose latest release, Up From the Skies, received two 2007 GRAMMY® nominations. Mosca has been actively involved in jazz education for over twenty years, having served on the faculty of numerous university jazz programs, most recently as Director of Jazz Studies at the University of Connecticut.